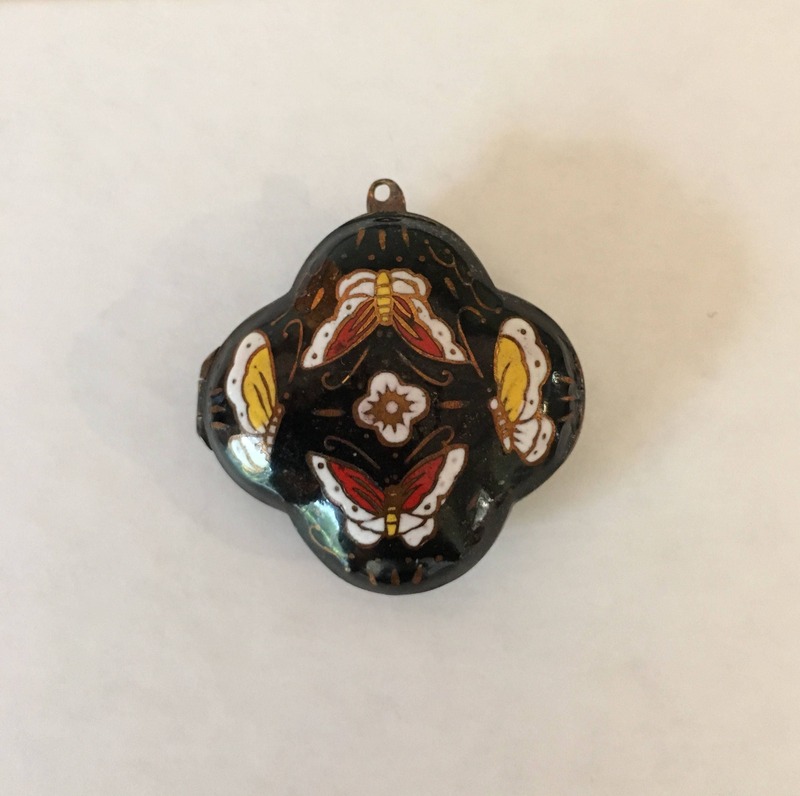 Genuine Cloisonne vintage locket, quatrefoil design with butterfly and flower motif, circa 1950s. 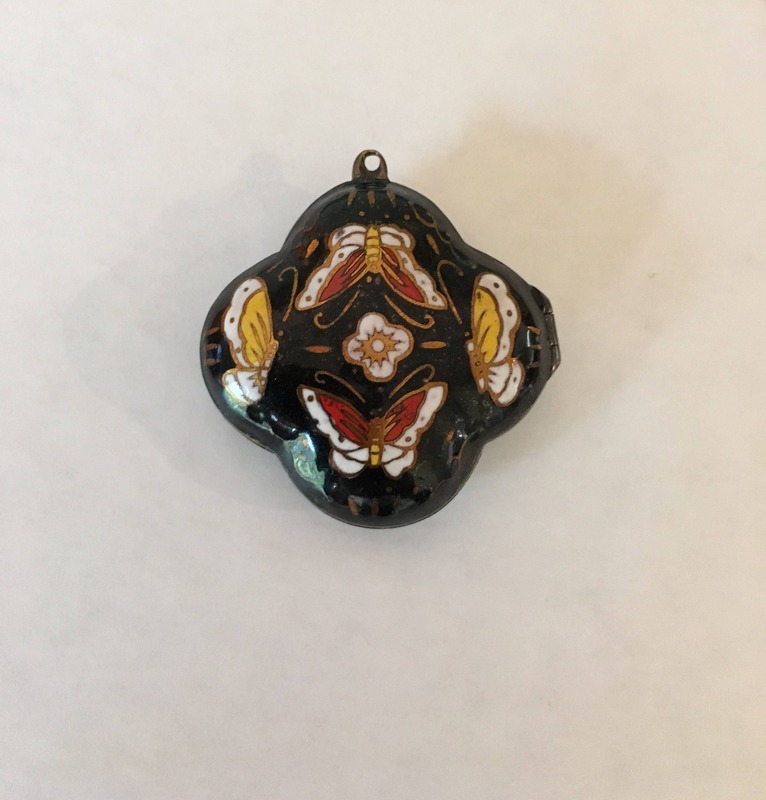 Mirror images front and back of four butterflies in colors of yellow, red, and white, encircling a sweet blossom at the center. Opens from the side to reveal a deep cobalt blue interior. Closes securely with a click. Excellent vintage condition. 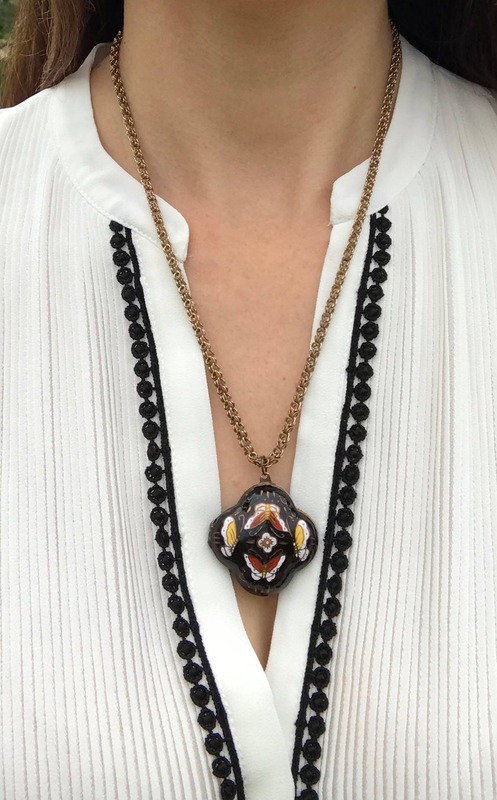 Cloisonne jewelry pieces are colorful and intricate works of art. In this amazing work, small metal filaments separate different colors of enamel. 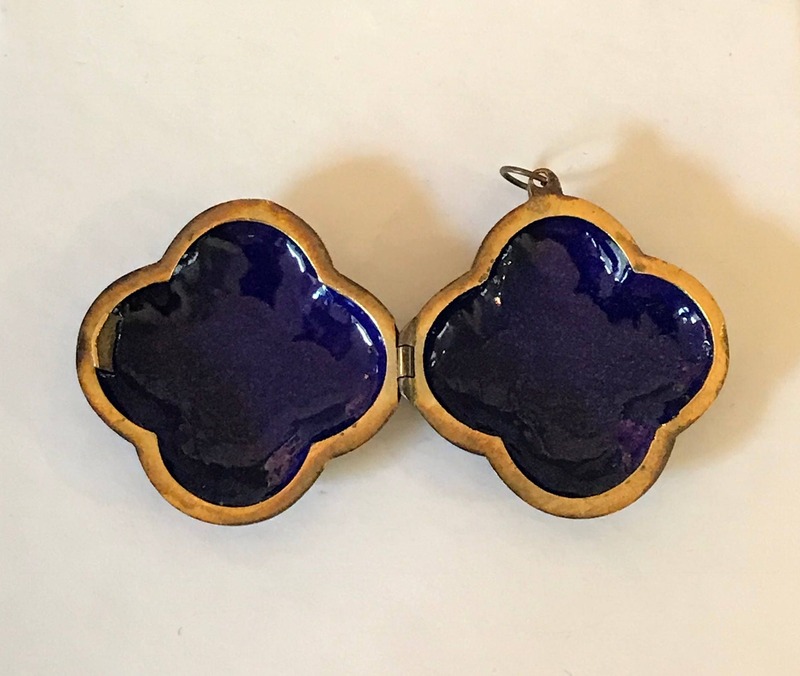 For centuries, jewelers have used the ancient process of applying colored enamel to metal to create beautiful jewelry. 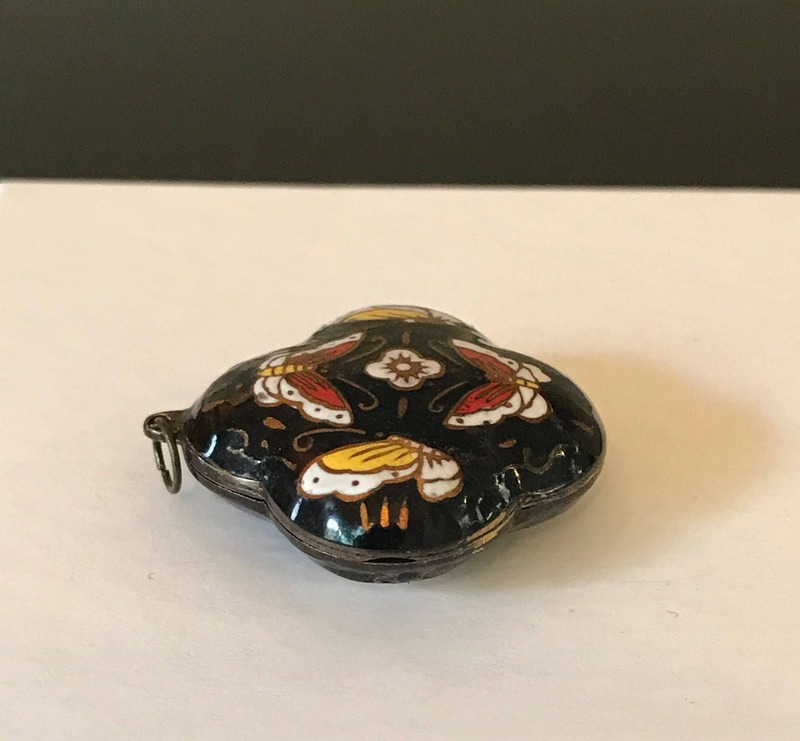 Measures approximately 1 1/2” x 1 1/2”. 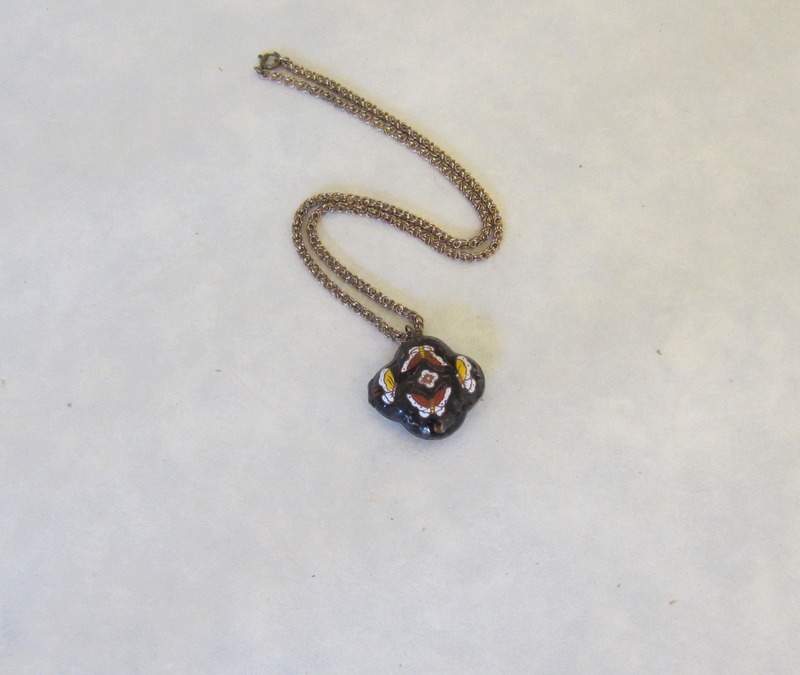 Note: Pictured chain is a later addition to the locket. 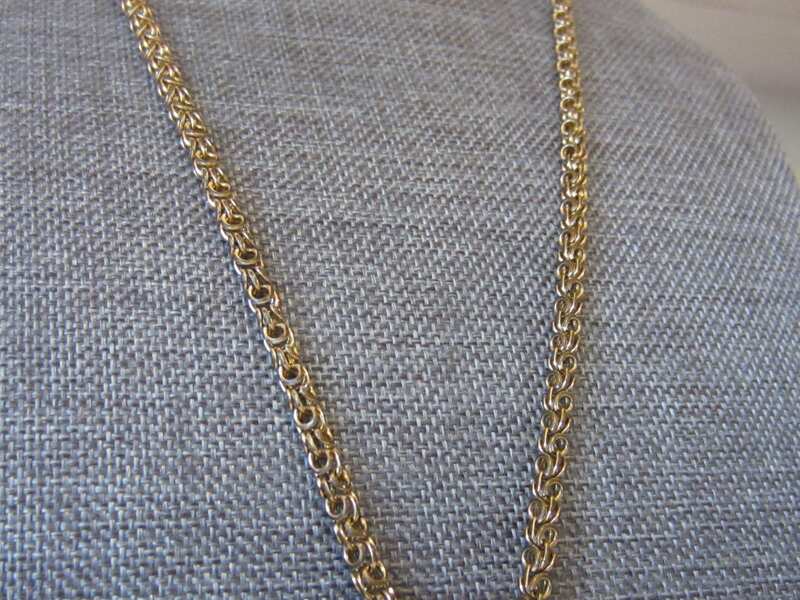 The gold-filled chain is vintage and likely predates the locket. It has a unique rope design and a spring clasp. Measures approximately 20” long.